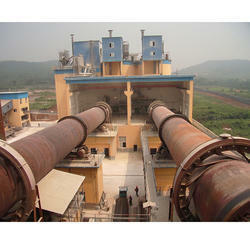 Rotary Kiln Plants by KINC to perform either endothermic (heat absorbing) or exothermic (heat liberating) processes. Designed in-house, systems to operate in parallel flow and counter current flow configuration. Supplied rotary kiln,Vertical Shaft Kiln units for mineral processes; calcining, oxidation catalyst recovery or treatment and waste incineration from a number of sources. Biomass, Coal, Charcoal, Lignite, White coal. 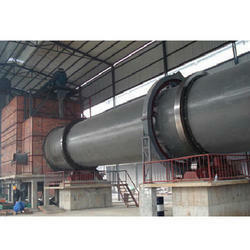 Refractory lining with suitable alumina % based on the minerals to be processed. Temperature measurement through wireless technology. Production Range 250kg/hr up to 20 mt/hr. 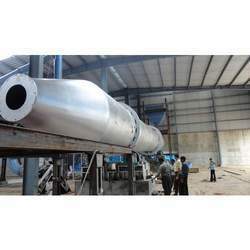 The product we offer is Calcination Rotary Kiln, which is the best as this is quality tested under the stringent guidelines of our quality analysts. These low maintenance machines are used for calcination of Bauxite, Kaolin, Aluminium Silicate, Lime, Gypsum, Bentonite and Manganese We follow all international specifications as per international quality standard. 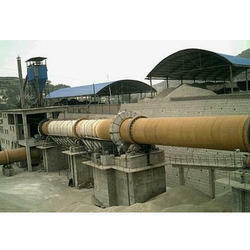 Feed Products - Bauxite, Kaolin, Lime, Manganese, Bentonite etc. Calcination Is A Thermal Treatment Process In Presence Of Air Applied To Ores And Other Solid Materials To Bring About A Thermal Decomposition, Phase Transition, Or Removal Of A Volatile Fraction. The Calcination Process Normally Takes Place At Temperatures Below The Melting Point Of The Product Materials. Calcination Is Different From Roasting, In Which More Complex Gas–solid Reactions Take Place Between The Furnace Atmosphere And The Solids. Calcination Is Carried Out In Furnaces Or Reactors (Sometimes Referred To As Kilns Or Calciners) Of Various Designs Including Shaft Furnaces, Rotary Kilns, Multiple Hearth Furnaces, And Fluidized Bed Reactors To Perform Following Decomposition Of Carbonate Minerals, As In The Calcination Of Limestone To Drive Off Carbon Dioxide; Decomposition Of Hydrated Minerals, As In Calcination Of Bauxite, To Remove Crystalline Water As Water Vapor;Decomposition Of Volatile Matter Contained In Raw Petroleum Coke; Heat Treatment To Effect Phase Transformations, As In Conversion Of Anatase To Rutile Or Devitrification Of Glass Materials Removal Of Ammonium Ions In The Synthesis Of Zeolites Oxidation Of Metals Like Copper And Tin. 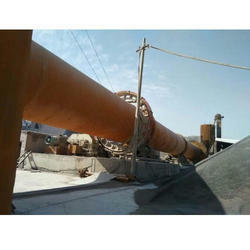 We hold immense expertise in manufacturing and supplying superb quality Industrial Rotary Kiln. 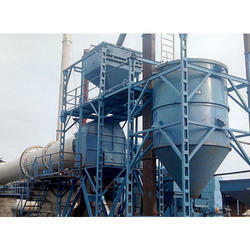 These kilns have profound uses in cement industry units and calcination process in aluminum industries, owing to their designing being done with utmost precision. With the use of high-grade raw material and modern age technology, these kilns possess excellent thermal efficiency and high robustness. Moreover, with refractory lining from inside makes these kilns high resistant to corrosion, thus increasing their functional life.